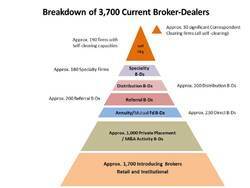 Working with our clients over the years, we have often used a pyramid model to help paint a picture of the makeup of the broker-dealer industry. Recently we examined related industry articles and data, which we believe made this picture even more relevant. The Philadelphia Chapter of ACAMS (the Association of Certified Anti-Money Laundering Specialists, of course) held an all-day session this month which our president, John Foster, was fortunate to attend. The session naturally focused on various topics related to Anti-Money Laundering. The RBC Connect 2018 conference proved to be a great couple of days. 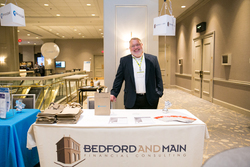 Bedford and Main was honored to be a first time sponsor. Our friends at RBC Correspondent Services did a superb job presenting the customary work related updates on new products and services, and then blending these with numerous out-of-the-box and often entertaining speakers. Our CEO, John Foster, had a great opportunity to attend the Washington DC 2018 Summit meeting of the IPA. The Institute for Portfolio Alternatives is focused on the very interesting niche of alternative investment products. 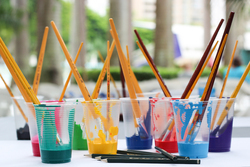 Take a look at EC500. This group boasts a proprietary heuristic that consistently enhances the return of the S&P500. OK, admittedly we at Bedford and Main had to take a minute to even grasp the meaning of a “proprietary heuristic”. Not the typical financial services newsletter, EC 500 clearly does not “guarantee” or claim unrealistic or near perfect results. 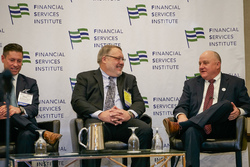 The annual SIFMA AML two-day conference proved to be educational and timely for Bedford and Main’s CEO, John Foster. The conference highlighted the upcoming changes to Beneficial Ownership reporting requirements by FinCEN . 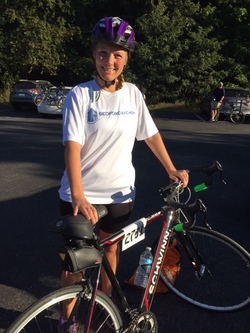 Thank You, Bedford and Main Financial Consulting! On Saturday, September 23rd, on a picturesque Indian summer day at the Jersey Shore, thousands joined together to support the fight against Multiple Sclerosis. Bedford and Main is proud to support The Expect Miracles Foundation, a leading advocate in the fight against cancer. The Financial Services industry has consistently accomplished significant multi-year strategic initiatives, from T-3 to Y2K to paperless processing.